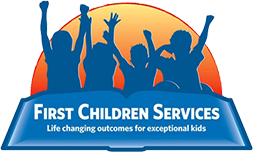 Dr. Howard Savin provides oversight of treatment models and clinical services along with organization-wide Quality Improvement systems for First Children Services. Dr. Savin has a profound understanding of the complex needs of children with behavioral health challenges. He has over 40 years of experience working in the behavioral health care field. Prior to joining First Children Services, Dr. Savin served as the Senior Vice President at Beacon Health Options where he led product development and quality oversight of corporate autism services. 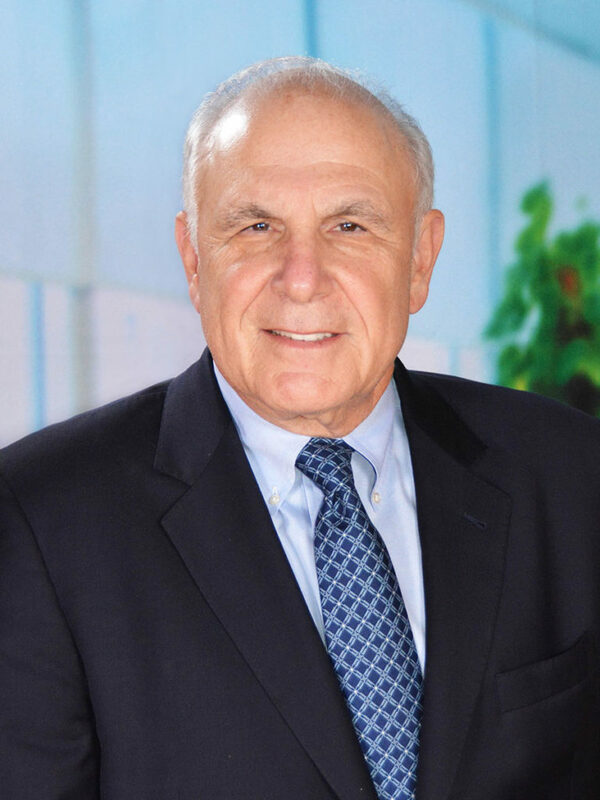 Before its acquisition by Beacon, Dr. Savin founded Autism Services Group, LLC, a managed behavioral health care organization specializing in the management of autism insurance benefits on behalf of large health plans and served as CEO as a division of Beacon Health Strategies for four years. Prior to ASG and Beacon, Dr. Savin served as Senior Vice President, Clinical Affairs and Director of Research and Training at Devereux for nearly ten years. His duties included quality management of clinical programs and services across Devereux’s national treatment network and leadership of Devereux’s American Psychological Association approved pre-doctoral Internship Program in Professional Psychology. Dr. Savin is a Licensed Psychologist in Pennsylvania, and he was formerly a Pennsylvania Certified School Psychologist and a Licensed Psychologist in Colorado. Dr. Savin holds a Doctorate of Philosophy in Counseling Psychology from the University of Georgia and a Master of Science in General-Theoretical Psychology from the University of Bridgeport. He earned his Bachelor of Arts in Psychology from the University of Vermont. Over his career, Dr. Savin has been active in a number of provider and professional organizations, has authored a variety of professional publications, and currently serves as an editor for Autism Spectrum News. Dr. Savin has also given numerous presentations on clinical outcomes and the quality and accountability of behavioral healthcare services. In her role as First Children’s Behavioral Health Treatment Services (BHTS) clinical director, Cindy oversees all clinical services for the organization. She has extensive experience applying the science of Applied Behavior Analysis, itself a learning approach, to district classroom settings. Cindy has trained teachers and para professionals in both private and public-school settings, as well as in agencies in the school clinics, and home environments. Cindy has worked in the human service field for more than 20 years. She has experience working with teen mothers and chronically mentally ill adults, as well as children and adults with intellectual and developmental disabilities including autism spectrum disorder. Cindy is a Board Certified Behavior Analyst (BCBA) who holds a master’s degree in psychology and an undergraduate degree in sociology. She has extensive background working in urban environments both in the home and school setting. Most recently, Cindy designed and implemented the service protocols for the Atlantic City School District creating therapeutic classrooms for some of the district’s most challenging students. She is versed in Nurturing Heart Approach, mindfulness, and trauma-informed interventions. 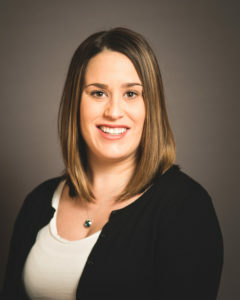 Caitlin Summers is a Licensed Professional Counselor (LPC) and currently serves as the Program Supervisor of Behavioral Health Services at First Children Services. Caitlin comes to the agency after serving as a clinician working with children, adolescents, and families in the NJ foster and adoptive care system. She has an extensive background working with youth suffering from various mental health diagnoses, behavioral difficulties, trauma, and crisis’. Caitlin currently holds a certification as a Trauma Focused-Cognitive Behavioral therapist. Ms. Summers sees the high importance of acknowledging and addressing the unresolved trauma of the individuals she serves. Caitlin has received numerous trainings on Cognitive Behavioral Therapy, Nurtured Heart approach, mindfulness, ASD and I/DD, and positive behavioral support interventions as well as behavioral modifications. Currently, she is working on obtaining her certification as a CBT clinician. She believes strongly in the continued need to grow programming with the goal of providing the most therapeutically and ethically appropriate services to families served always taking a mindful and individualized approach with the individuals she is working with. Caitlin is a creative, passionate and out of the box clinician. Ms. Summers received her Bachelors of Art in Psychology from The Richard Stockton College of NJ and her master’s degree in community counseling: marriage, couple, and family counseling and therapy from The College of New Jersey. Georgia is the program supervisor for the Northern New Jersey region, overseeing more than 35 BCBAs and behavior technicians in the field. She reviews programming, data, and scheduling to confirm that the organization is providing consistent and quality services across the board, ensuring First Children’s goal to not only provide quality services but also provide meaningful and lasting change. She also makes monthly site visits to our school district clients to help support our staff and confirm that they are being provided with the support they need to deliver quality services to the districts. Georgia joined First Children Services in October of 2011, starting as a BCBA in the field working in school districts and providing services in home/community environments. Additionally, she has been a program supervisor of First Children’s Strive center, helping to run clinic-based programs for children with autism as young as 2 years old. She received her master’s degree from Rowan University in Glassboro, NJ and has been a BCBA since August 2014. Jamie is the program supervisor for the behavioral health treatment services in our new Colmar, PA location. She currently works with our clients in the Southern New Jersey region and will be working with future clients in the Southeast Pennsylvania region as well. Jamie writes behavior plans and supervises behavior technicians for our in-home ABA services and runs our social skills groups in Cherry Hill and Colmar offices. She serves as our Camp Discovery director responsible for organizing the camp, collecting intake paperwork, creating activities, managing staff and camper schedules, and teaching staff how to intervene with behaviors. Jamie is a certified Safety Care Trainer and runs internal trainings for our employees. She is also certified in first aide, CPR, and AED. Jamie was a Registered Behavior Technician (RBT) for First Children for three and a half years before earning her Board Certified Behavior Analyst certificate and being promoted to program supervisor. As an RBT, she earned First Children’s annual President’s Award for her excellent service to the families and children we serve. Prior to joining First Children Services, Jamie worked for Virtua Hospital providing transport to patients and interning as an occupational therapy aide. She has been working with children since she was a high school student as a preschool aide and volunteering for special needs organizations. Jamie earned her Masters of Applied Behavior Analysis with a focus in autism from Ball State University in Indiana and her Bachelor of Arts in Psychology from Richard Stockton College of New Jersey where she volunteered at Buddy Ball, an autism baseball league and Cranium Camp, a camp for youth with brain injuries. Erin is a Board Certified Behavior Analyst who provides direct behavioral services to clients in home, classroom, and community settings. She believes that teaching functional skills can make a difference in the lives of clients and improve family relationships. Erin has worked for First Children Services since September of 2014. She began as a Registered Behavior Technician and a BCBA mentee. Erin is trained in First Aid, CPR, and Safety Care. Erin holds a master’s degree in applied behavior analysis with an emphasis in autism from Ball State University. 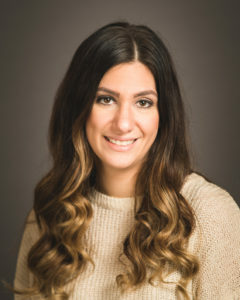 Ariana currently provides behavioral services to our clients in the Southern and Central New Jersey region in the school, home, and clinic settings. Her main role is to supervise behavior technicians by overseeing ABA sessions, providing both positive and constructive feedback, reviewing session notes and programs, maintaining consistent contact to ensure each child receives the highest level of individualized care. Ariana’s niche is working with little ones in the clinic setting due to the novelty of ABA services to the family, high rate of skill progression, and emphasis on parent training. Ariana began working with First Children Services in 2015 as a behavior technician where she earned her experience hours and fieldwork before passing the board exam in 2017. She feels there is no better feeling than beginning services with a family, working through the setbacks and celebrating the successes, to filling out discharge papers because services are no longer needed. Ariana has a master’s degree in applied psychology from Rider University and earned her undergraduate degree majoring in linguistics and psychology from Rutgers University. Kevin works with children in the school and home setting in the Central New Jersey region. He knows that when done effectively, ABA therapy can make real and lasting changes in a person’s life. Prior to earning his BCBA certificate, Kevin worked as a behavior technician for five years working with children in the home setting and adults in a clinical setting. Kevin holds a master’s degree in special education with a concentration in ABA from Seton Hall University and a bachelors degree in social studies K-12 from Temple University. Rochelle has been a board certified behavior analyst with First Children Services since April 2018. Currently, she is supporting students within school districts and providing services in the home and community setting. Rochelle has experience working within multiple settings including school districts, homes, child care centers, group homes, and adult habilitation programs which includes individuals as young as 3 through adults, 21 and older. She received a master’s degree in psychology with an emphasis in applied behavior analysis and a bachelors degree in psychology. Nina is a Board Certified Behavior Analyst currently serving youth in the South Jersey area. She received her Master of Science degree in Behavior Analysis at the University of North Texas, along with her board certification, in May 2015. Nina has previously worked in Texas and in the state of Florida as a BCBA conducting research on parent training and expanding interests, supervising an ABA clinic, and with in-home ABA cases. Her interests and passion lie in parent training and early intervention. She believes that early intervention, along with teaching parents to be advocates and change agents for their children, is the key to successful intervention. 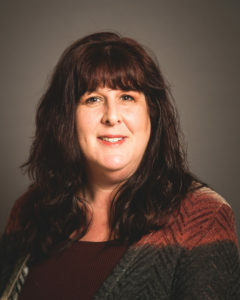 Judith is a Board Certified assistant Behavior Analyst (BCaBA) at First Children Services working with school districts and providing services in the home and community settings. She began with the company in December 2016 following extensive experience in schools as a speech and language specialist as well as clinical settings, adult group homes, and day programs as a behavior analyst. She received her Bachelor’s of Science from Richard Stockton College in 2000 and her BCaBA certification in January 2013. 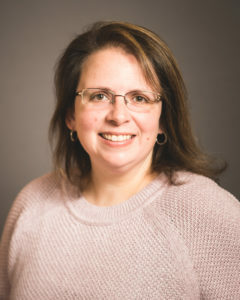 Throughout her five year career as a behavior analyst, she has emphasized creating and implementing functional and reinforcing techniques for all caregivers to use to support and make meaning changes in the lives of everyone she serves. Dr. Siegler provides diagnosis and treatment for children and adolescents in our Colmar, PA center. He is a licensed psychologist with over 20 years of clinical, supervisory, and management experience in acute in-patient, psychiatric residential, intensive home-based, school-based, and outpatient treatment settings. Dr. Siegler is a leader helping behavioral healthcare organizations achieve their goal of providing effective and accountable treatment services to the individuals and families they serve. He will lead our clinical team, providing comprehensive psychological evaluation services (biopsychosocial diagnostic assessments, psycho-educational assessments, and specialized evaluations) for children and adolescents, and counseling services. Dr. Siegler currently provides educational consultation services to charter schools in Philadelphia and forensic evaluation services on behalf of children and adolescents at the Philadelphia Family Court. He has provided staff training to behavioral health providers on a variety of topics related to clinical excellence and clinical accountability. 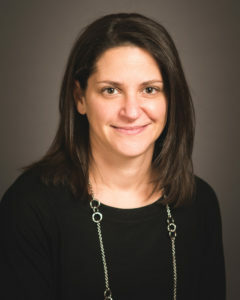 Dr. Siegler previously served as the clinical director of the Child’s Outreach Services Program at Resources for Human Development in Philadelphia. Dr. Siegler previously served as a clinical director of Children’s Behavioral Health Services at the Devereux Foundation and served a member of the teaching faculty at the Devereux Institute of Clinical Training and Research. Dr. Siegler earned his Doctorate of Psychology in Clinical Psychology from Chestnut Hill College in Philadelphia with a specialization in psychological assessment. He also earned a Master’s of Science in Counseling Psychology & Human Services with a specialization in marital & family therapy from Chestnut Hill College. Dr. Siegler completed a predoctoral psychology internship in professional psychology at the Devereux Foundation Institute of Clinical Training and Research in Villanova, PA and a professional externship at the Center for Management of ADHD at Children’s Hospital of Philadelphia. Kathy is a school social worker in First Children’s Transitions Program. Her role is to aid students in coping with their emotional challenges such as anxiety and school refusal. 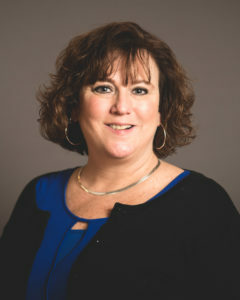 Kathy began her career as a child welfare case manager before obtaining her MSW at Rutgers University. Then, she pursued a career as a child/adolescent therapist working with youth in the foster care system. Kathy has also worked as an outpatient therapist helping youth and families dealing with mental health issues, parenting, as well as adjustment issues. Kathy uses eclectic therapies to individualize her treatment to meet her client’s needs including creative arts therapies. She has extensive training in cognitive-behavioral therapy, which she uses to teach children/teens how their thoughts influence their feelings and behavior. This empowers the youth to change their faulty thinking leading to a more positive outlook of their lives and themselves. She also employs mindfulness and meditation practices, which reduces stress and anxiety leading to both a healthier mind and body. Lauren is a school social worker for First Children’s Transitions Program. Lauren is passionate about helping adolescents cope with anxiety and assist in changing negative patterns of thought, to support students in reaching their full potential. Prior to joining the Transitions Program in 2018, Lauren served as a child and family therapist for over ten years. In this role, she provided in-home therapy to children and adolescents in the foster care system awaiting adoption or post-adoption, as well as their families. Lauren continues to work within the field of adoption, working with children and teens who were adopted, as well as parents who are planning to build their family through adoption. 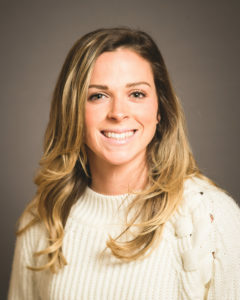 Lauren holds an MSW from Rutgers University and holds certificates in School Social Work and Adoption Therapy, in addition to being trained in the Nurtured Heart Approach, Mindfulness, Cognitive Behavioral Therapy and Grief and Loss.